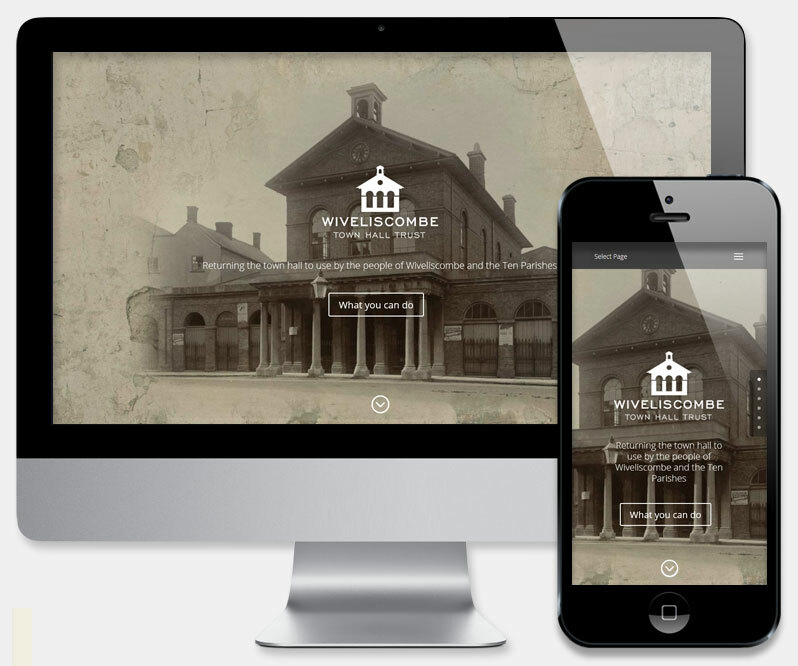 The Wiveliscombe Town Hall Trust approached us to create a characterful and appealing new website capable of promoting the trust's activities and to raise awareness of their aim to restore the town hall for use by the local community. 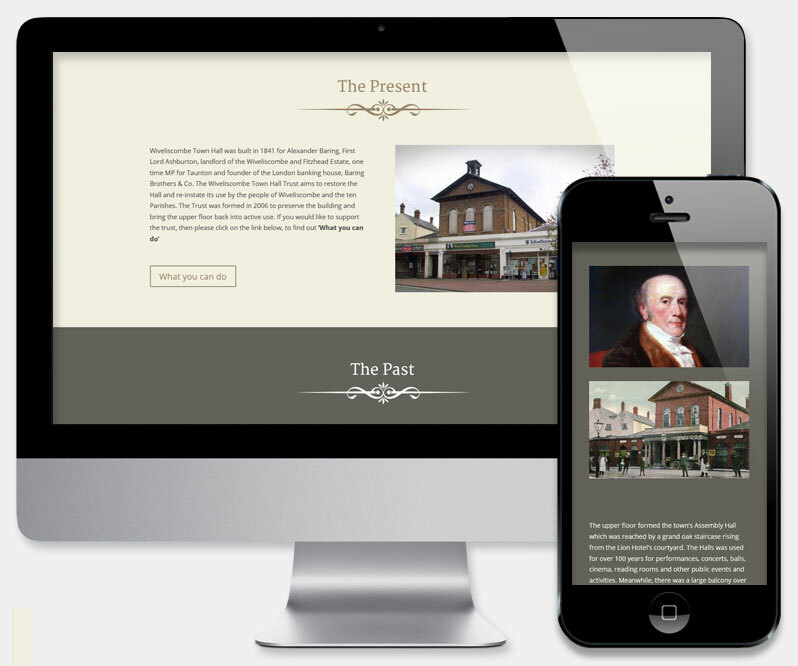 This fully responsive site was built on the latest Wordpress CMS. The striking one page responsive design displays details of the Hall's past, its present condition and future restoration plans. This contemporary, responsive design ensures that the site functions effectively on even the least capable mobile device, for an optimised browsing experience. Easy future maintenance is assured for all elements of the site's text and image content, via the Wordpress CMS admin area. This includes the dedicated news area where latest information and events can be displayed.